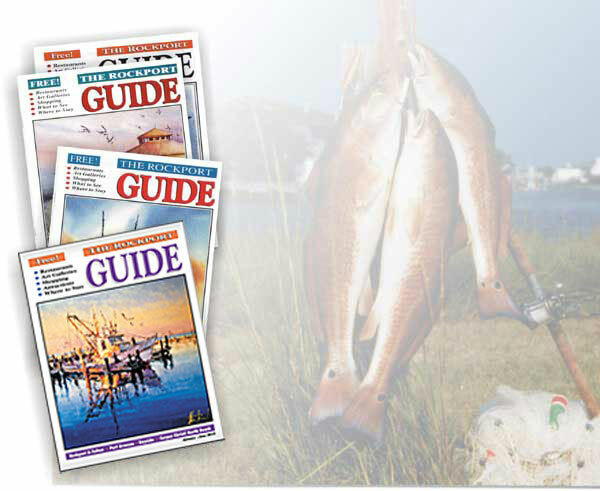 The Rockport Guide is your source for all the best restaurants, art galleries, shopping, attractions and accommodations in Rockport, Texas and the Coastal Bend Communities of Aransas Pass, Port Aransas, Bayside and Corpus Christi. Best of all, it's FREE! You can pick up your copy at the Rockport-Fulton Chamber of Commerce, view it on-line, or we can send you a copy for a small shipping and handling fee.